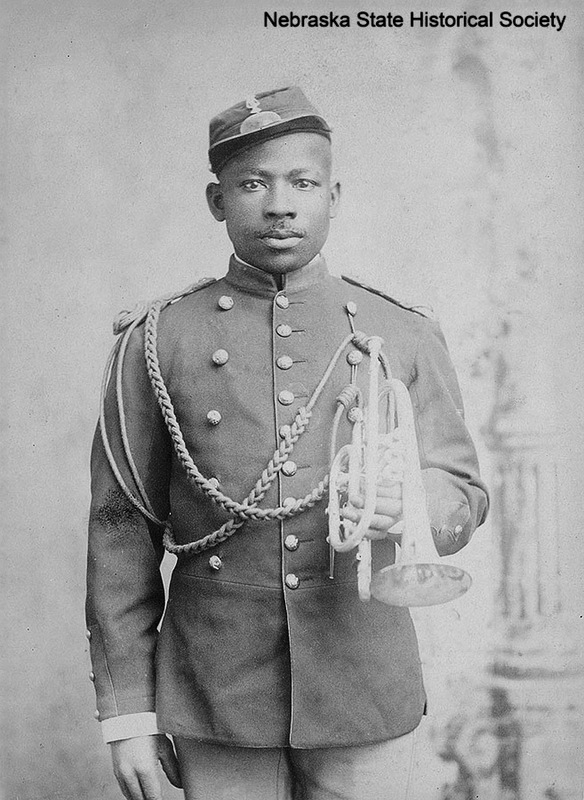 Black soldiers of the Ninth and Tenth cavalry regiments (called "buffalo soldiers" by the Plains Indians) garrisoned Fort Robinson for eighteen years and played an important role in northwestern Nebraska's history. Organized in 1866, the regiments first served in the Southwest. In 1885 the Ninth Cavalry arrived at Fort Robinson, which was regimental headquarters from 1887 to 1898. The black troopers helped build the new post during the fort's 1887 expansion and were the first cavalrymen sent to the Pine Ridge Reservation during the Ghost Dance trouble of 1890. Lt. John Alexander, the second African American graduate of West Point, and Henry Plummer, the first black chaplain in the regular army, served here. So did ten buffalo soldier Medal of Honor men. In 1902 the men of the "Fighting Tenth" Cavalry, veterans of the Battle of San Juan Hill, made their headquarters here. Four years later the Tenth helped capture Ute Indians who had fled their Utah reservation, the last military action against Indians on the northern Plains. In 1907 the regiment left for duty in the Philippines. “Buffalo Soldiers at Fort Robinson,” Explore Nebraska History, accessed April 18, 2019, https://mynehistory.com/items/show/137.